Additional Comments Or Information We Need To Know? chairs, china, and more can be arranged for your convenience. Deposits: A deposit is required to confirm your booking. The amount may vary depending on your event size. Final payment is due two weeks prior to your event. All major credit cards are also accepted. Insurance Tony’BBQ carries a minimum of $2 million in general liability, compensation insurance. Staffing: Our professional staff ensures efficient and courteous service for your event. Additional Costs: There aren’t any! Your total bill will consist only of food, beverage, and staffing charges, . We do not charge extra for cake cutting, champagne pouring, or service with a smile. 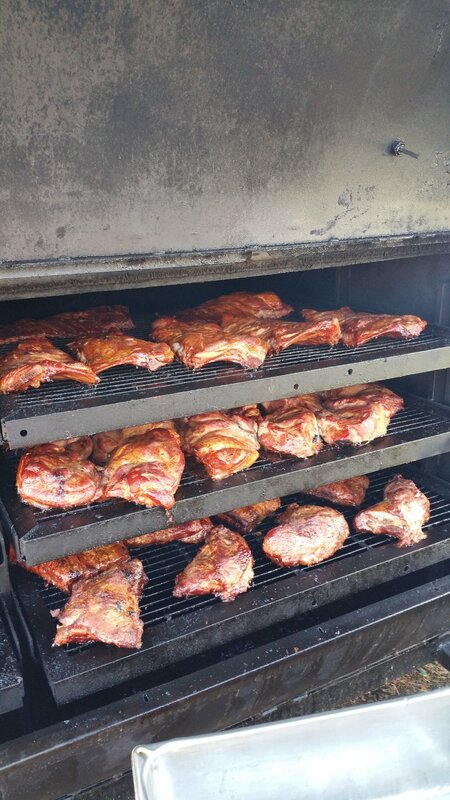 Joining Tony’s BBQ Catering growing list of clients is as easy as a phone call or text 541-525-2261. The staff will put their years of experience at your disposal to assist you in planning your next meeting or event. Thank you from the staff. If you prefer you may Email Premiere or feel free to use our Contact Tony's barbecue to ensure our availability. When it comes time celebrate your big day, the focus should be on you. That is where Tony's BBQ comes in. Catering for weddings is one of the areas of our business that brings us the most pride and satisfaction at the end of the day. Knowing that we were able to be a part of something so special in your life is one of the reasons we do what we do. We want to walk away knowing that we did everything we could to make your celebration that much better. We are not just going to be your average wedding caterer. We are going to go above and beyond your expectations, and make sure that all your needs are met in a timely manner. Our wedding catering is designed to give you the right food at the right time, without any of the stress and hassle of doing it yourself. Give us a call today and find out what we can do to make your day extra special!